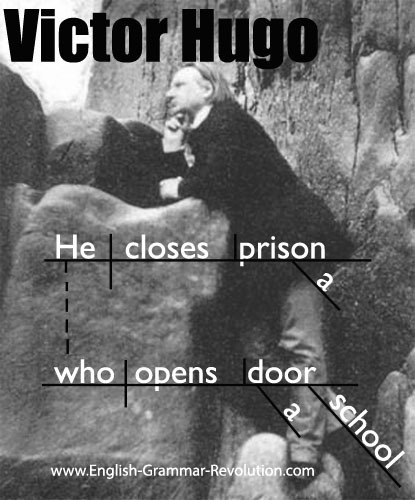 Victor Hugo was a French writer in the 1800s, and he's one of my heroes. His writing is beautiful, and his themes are genius. Two of my favorite novels are The Hunchback of Notre Dame and Ninety-three. I still have to read Les Misérables, but I think I'm going to love it when I do. 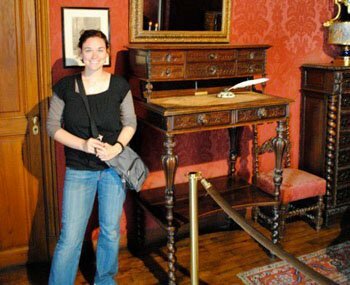 Here I am standing next to his writing desk. I got to tour his home in Paris one summer while on a field trip with my school. Notice how tall the desk is. He liked to write while standing up. 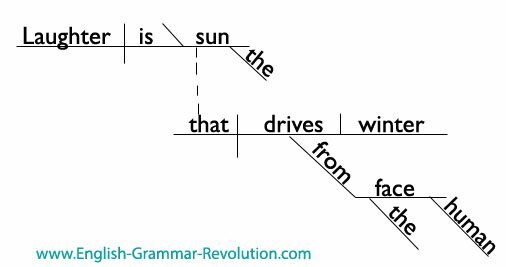 Here are some sentence diagrams of his quotes. Enjoy! winter from the human face." enforcing morality on the stomach." I love your website! Your helpful tips and upbeat attitude are a breath of fresh air. 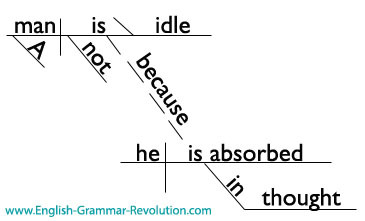 Grammar definitely needs a champion like you!